The fauxcapitalist.com… and I talk about the week’s (Canadian) events with our fakeologist mindsets. This entry was posted in Audiochats on July 31, 2015 by ab. But first, Are Dinosaurs Real? Consider this beloved childhood truism: Dinosaurs, both terrifying and wondrous roamed this earth in the ancient past. Did they really? Where is the proof? The proof they say is in the bones. O.k. show me the bones. Problem you see, with the bones, you see, is that the timeline doesn’t add up. We had pictures and giant models of complete skeletons of dinosaurs waaaaaay before we ever had an actual complete skeleton. 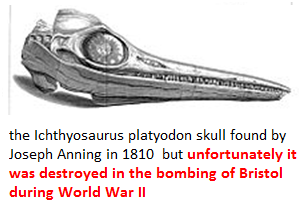 And by the way, we still have never found a complete dinosaur skeleton, or even anything close to that. Each species of dinosaur is defined by just a few bones such as 1/4 of a jaw bone found in one pile added to some ribs from another. Fakery has been in the dino business since it’s inception, just like NASA, no doubt. Some fossils are faked, but some are also real. What about the real ones? Think about whales. We find most dinosaur bones in the rocks of ancient sea beds, where whales used to swim. 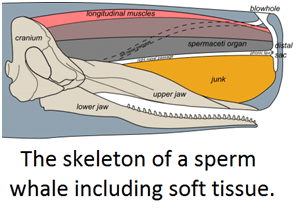 Dinosaurs have tons of vertebrae, just like whales. 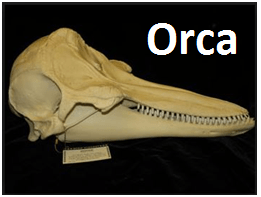 The fossilized giant skull bone parts said to be from dinosaurs also fit nicely on whales. Jungle Surfer does a great job, as usual, of looking at the big picture. Really, dinosaur skin? 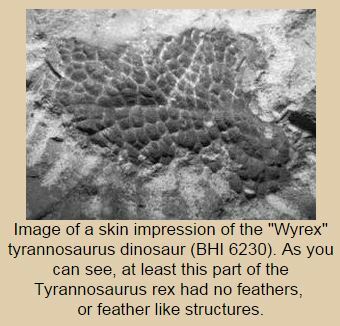 Of all the things this could be, assuming this picture is even real, of all the animals that ever existed, consensus among scientists involved is that this had to be a patch of dino skin? Here is a Clues Forum post that shows this once particular dinosaur looks a lot like a turtle skeleton. Rochelle joins us for a riveting discussion about 911 survivor stories. We analyze a state sponsored film called 9/11: The Tale of the Two Towers. This documentary was released almost exactly 6 months after September 11, 2001. 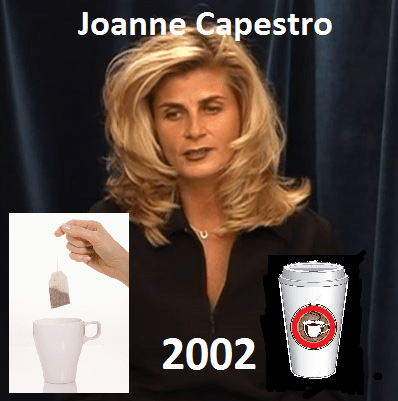 Of the few 9/11 survivors, one is the lovely Joanne Capestro. She has an amazing tale to tell that involves people grabbing arms separated from their bodies, seeing a dead couple skewered by beam while grabbing each other in an embrace and having a priest grab her a couple of times. 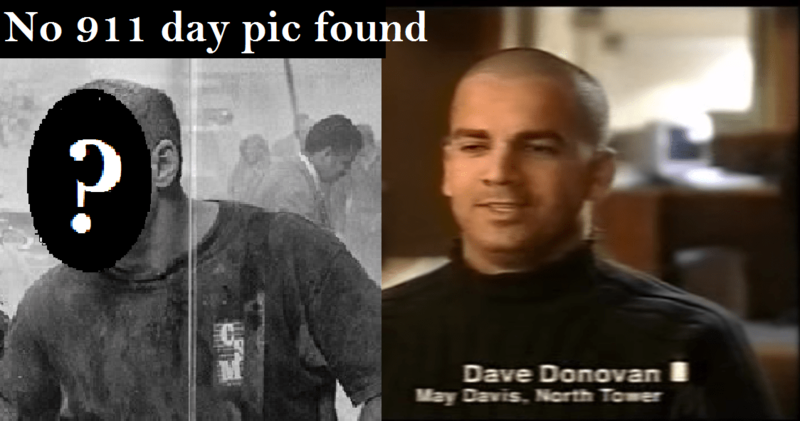 Another interesting character is Dave Donovan, who witnessed body parts raining down into the courtyard, plane seats with parts of bodies still in them, and saw a baby squirt out of the mother, only attached by the umbilical chord. This entry was posted in Audio, K Ham, Recommendations, Uncategorized on July 31, 2015 by khammad. Interesting talk with a 6 4 Javaring. This entry was posted in Audio, Recommendations on July 31, 2015 by ab. The art of any propagandist and agitator consists in his ability to find the best means of influencing any given audience, by presenting a definite truth, in such a way as to make it most convincing, most easy to digest, most graphic, and most strongly impressive. This entry was posted in Political Theater, Propaganda, Psychic driving on July 31, 2015 by ab. Even with my fakeology knowledge, I still watch movies. Even with media fakery glasses, I still enjoy Michael Moore’s movies, and this latest vehicle will probably be no different. Moore has always had an affection for Toronto, where his latest film will premier. I’m sure mm plays a part in enforcing the deception as a token change agent, but perhaps he opens the skeptic door just a little bit for some. This entry was posted in Hollywool on July 30, 2015 by ab. I hate hearing plane stories in the media. More so than the shortening day, it’s an indication that summer is on the down slope and fall is around the corner. 9/11 is the reason, of course, as there is usually 6 weeks of plane stories to remind you of the 9/11 psyop. The cold case known as Malaysia Airlines Flight 370 has been jolted by a piece of flotsam that washed ashore, and now investigators are scrambling again. This entry was posted in 9/11, Media Hoaxes on July 30, 2015 by ab. John and Chris bring the hoaxbusterscall.com… deconstruction to the Gabrielle Giffords fake event. This event brought 9/11 and its tawdry tale to Arizona for good. One gem: doctors used suspended animation when performing surgery on Gabby. Of course the medical center has never heard of these doctors. This entry was posted in 9/11, Audio, Hoaxbusterscall, Recommendations on July 30, 2015 by ab. Two professional liars working for the same beast – one is sacrificed for a small lie that of course had to be orchestrated from the highest level, the other remains for no good reason other than to create a duality and create the illusion that liars will be caught and dealt with. The real facts are that NBC and all media outlets are their to mislead and create an illusion that they are digging for truth rather than lying to steer the herd. This entry was posted in 9/11, Deception techniques, Media Hoaxes, Media Perps on July 29, 2015 by ab. Tests you can try at home? This entry was posted in NASA hoaxes on July 28, 2015 by ab. This is where participants of the DCP (dead celebrity program) go. Where is it? It’s all around you. Would you recognize Elvis or Whitney Houston if they moved in beside you? Maybe, but who would believe you? I’m sure the most famous among us can be somewhat physically altered, but if they live in rich, more isolated areas then no one would recognize or tell on them. This entry was posted in Celebs on July 27, 2015 by ab.